Double cup. Gray stone. 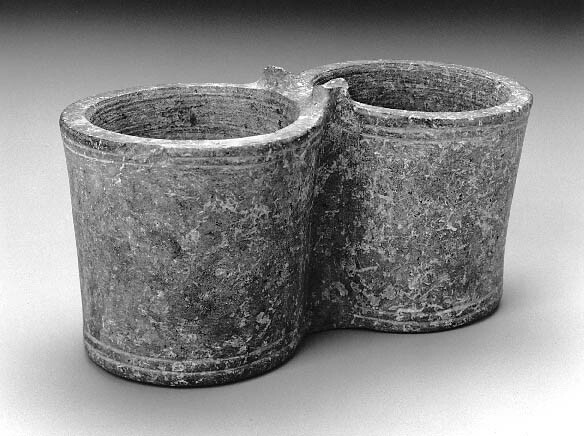 Two incised rings at top and bottom. Handle gone. Large nick in bottom of one side.